What makes Cuba an attractive travel destination? The answer lies beneath the country’s cultural make-up and connection to the past. It's something elusive and exotic that has enticed travelers for centuries. Its beauty is beyond the exquisite colonial architecture or the exciting music that echoes throughout its wide avenues. It’s something more ethereal – one that you have to experience for yourself by exploring the country as a whole through various ports and excursions. When you visit Cuba in luxury aboard an elegant cruise ship, you’ll get the best of all worlds and a truly authentic experience you’ll never forget. So which cruise lines go to Cuba? Below are some of the best cruises to Cuba that CruiseInsider has to offer, including personal favorites recommended by our very own experts. 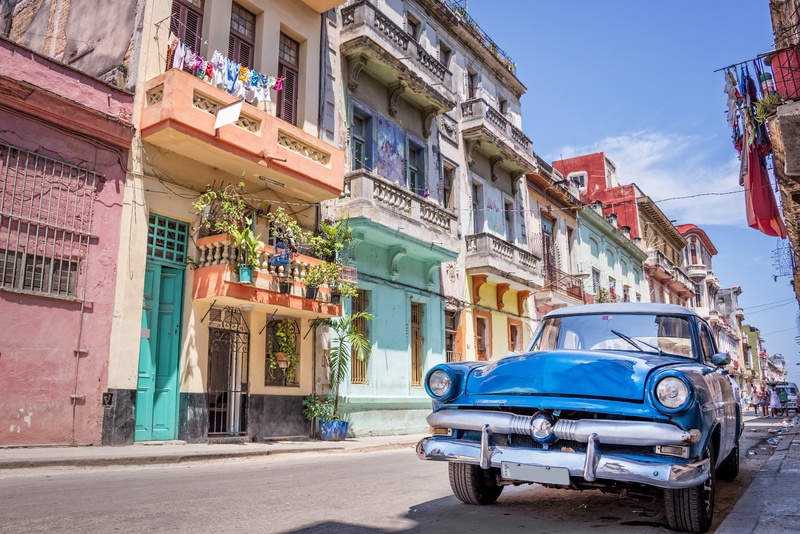 Azamara Club Cruises offers several itineraries that stop in Cuba, ranging from a 4-night voyages to Havana to a 16-night voyages throughout the the country and surrounding areas in the Caribbean. 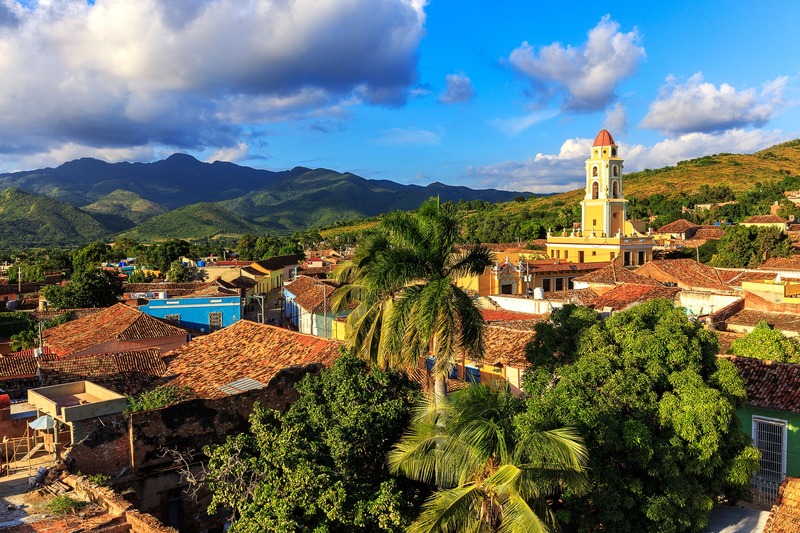 Their 10-night Circle Cuba Voyage includes an overnight stay at Santiago de Cuba, the city that spurred Fidel Castro’s revolution, as well as Cienfuegos, a stunning UNESCO World Heritage city with 17th century architecture overlooking the Caribbean Sea. A few of the excursions Azamara offers include a tour of the Nuestra Señora de Jagua, the only Spanish military fortress built and designed with late Renaissance style architecture; a night of pulsating music at the legendary Red Room cabaret in Havana; and an indulgent visit to a rum distillery and tobacconist to learn and sample two of the country’s most widely sought after export. Insider Tip: While in Havana, don’t miss a visit to Morro Castle, a breathtaking 16th century fortress built by slaves and where prisoners were fed to sharks. The structure guards the entrance to Havana Bay. If you’re on the lookout for one of the best cruises to Cuba, odds are that one of them will include sailings by Oceania Cruises. Oceania offers multiple cruise itineraries, mostly originating from its headquarters in Miami, Florida. The cruise line also currently has three ships that include Cuban ports of calls but will soon immersive visits to Havana and more on the stunning Riviera. Cuba's famous classic cars are an integral part of the culture. In addition to the ports of Havana, Santiago de Cuba and Cienfuegos, Oceania’s Cuban itineraries also include various cities in Central America and the Caribbean. 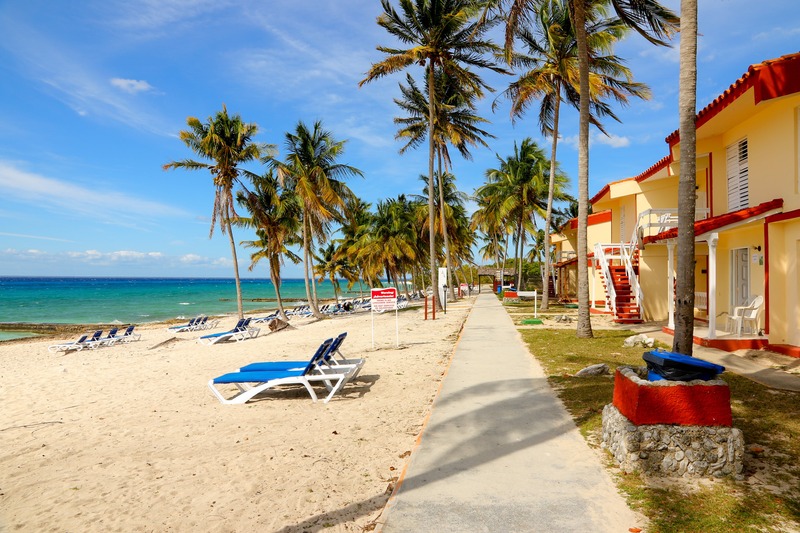 Some of which combine the classic sights of Cuba with the upbeat tempo of Cozumel, Mexico and Great Stirrup Cay in the West Indies, while others include stops throughout the Caribbean in Harvest Caye, Belize and Roatan, Honduras – both of which offer incredible diving and snorkeling sites. Insider Tip: Get to know the natural wonders of Cuba with a tour of Ciénaga de Zapata National Park where you have the option to get up close and personal with the endangered Cuban crocodile. What makes sailing with Seabourn one of the best ways to see Cuba is its carefully crafted schedule and gorgeous onboard experience. Seabourn visits five fascinating Cuban ports with overnights in its most enchanting, colonial UNESCO World Heritage cities, inviting you to savor all the history, humanity and life-affirming artistry of Cuba’s culture and its people. You’ll find that Seabourn puts more emphasis on having a well-rounded experience rather than just scratching Cuba’s cultural surface. 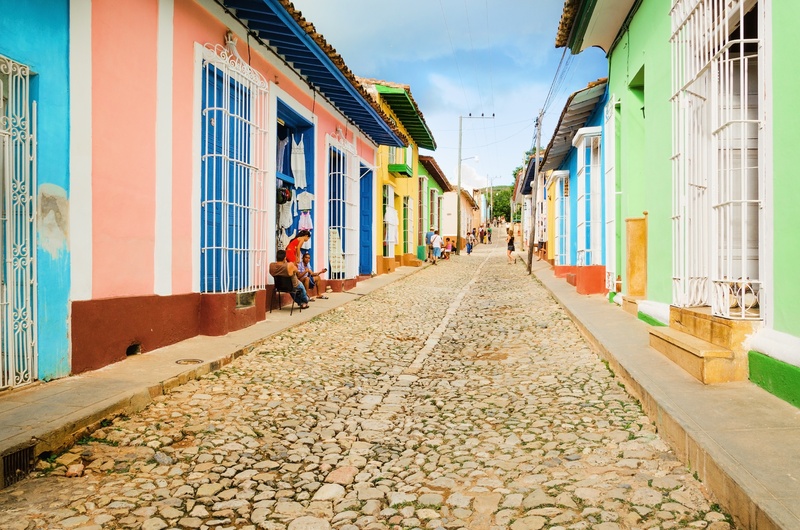 Walking the cobblestone streets of Cuba is like going back in time. Connect with local artists and musicians as you assist with community projects offshore in Havana or gain spiritual and soulful experiences as you enter century-old cathedrals in Santiago de Cuba. Enjoy Seabourn's ultra-luxury all along the way, with beach barbecues on Carambola Beach, complimentary water-sports in Isla Catalina and cultural 'folklorico' performances on board. Insider Tip: The offshore excursion to the Biosphere Reserve at Las Terrazas will surely delight the naturalist within you. Its rich collection of rare flora and fauna can be experienced along the trails within the park. After decades of being the most elusive port of the Caribbean, Regent has an itinerary that includes a full immersion into exotic Cuba with three overnight stays and a visit to nearby Isla de la Juventud. 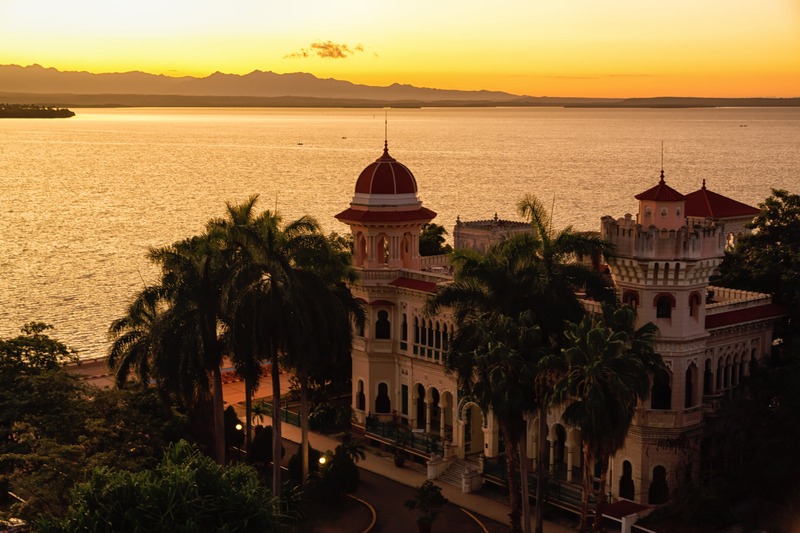 With overnights in Havana, Cienfuegos and Santiago de Cuba, and a visit to Isla de la Juvenstad, you’ll explore the heart and soul of the real Cuba after the sun sets, all while experiencing Regent’s all-inclusive, all suite luxury throughout your journey. Insider Tip: Explore the architectural gems and active nightlife in the historic center of Cienfuegos, Cuba. Founded in 1819, this beautiful colonial town was once one of the biggest trade ports in the Caribbean and is now a UNESCO World Heritage site for its well-preserved collection of 19th-century Neoclassical buildings inspired by the Spanish Enlightenment. For more information on the best cruises to Cuba, connect with a CruiseInsider expert today by calling 1 (877) 734-6858.